Liu was born in Xi’an, China in 1962, an era enflamed by class conflict. Born into a family of landlords who were at the forefront of criticism and public denouncement, Liu learned from an early age the significance of independence. From the age of four, Liu could be found copying illustrations from his sister’s schoolbooks or painting the people and livestock of his rural neighborhood. For him, every landscape held the potential and challenge to express nature’s beauty. Following his desire to explore his own path in life through art, Liu entered the Xi’an Academy of Fine Arts in 1987, where he studied classical Chinese artists with Western masters like Leonardo da Vinci, Rembrandt, Rubens, Van Gogh and Monet. However, Liu felt at odds with the Academy’s classical training and left after two years to teach art classes. It was not until 2007 when he began reading about the self and consciousness through popular philosophers like Socrates, Immanuel Kant and Sigmund Freud, that Liu developed a taste for modern and contemporary art. 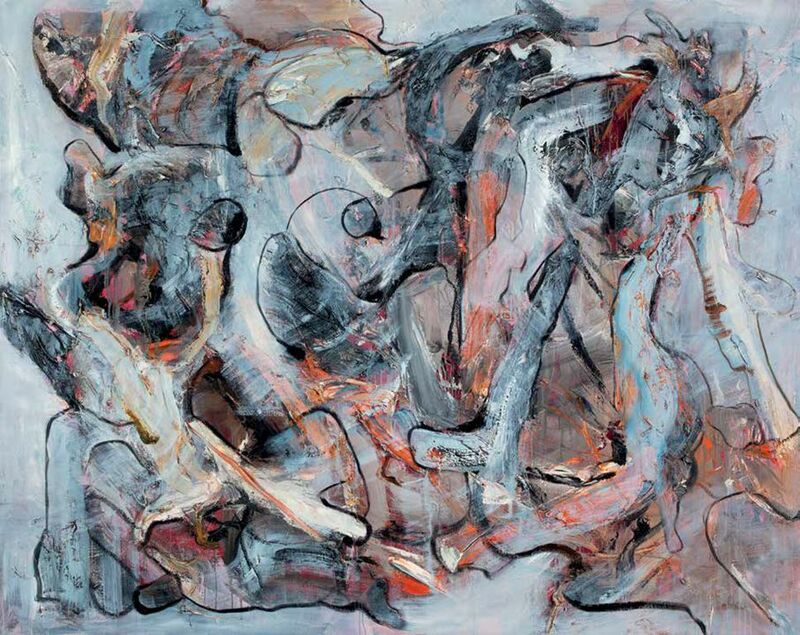 From then on, Liu’s style of painting evolved from the figural to the abstract. Liu’s career took an international turn with his 2009 exhibition in Paris at the Salon du Carrousel du Louvre Paris and at Art en Capital where he was awarded a silver prize by Société Nationale des Beaux-Arts. He moved to Beijing the following year to further his international reputation and exposure. His work, Existence, was collected in 2014 by former US State Secretary, Henry Kissinger. In 2015, Liu participated in the 56th International Art Exhibition of the Venice Biennale for a solo exhibition in the Syrian National Pavilion. Awaiting to Forge Ahead Together, 2010. The Woman With Hairpin, 2012.
Who is the Corresponding One?, 2015.